“We are currently offering our clients the opportunity to invest in lots in TierraBela. This lets them take advantage of the natural features of the land area and allows flexibility in terms of building their dream home that is close to nature, away from congested CBDs, without having to travel far for the conveniences of the city,” says Martha Herrera-Subido, Eton’s AVP for Marketing, PR and Corporate Communications. The 8.7 hectare development boasts of generously cut lot areas averaging 323 square meters, ensuring spacious homes and generous open spaces. TierraBela’s lesser density neighborhood, cleaner air, natural light, and close to nature vibe make it an ideal family weekend getaway destination in itself. The village features choice amenities such as fitness trails, parks, playground, picnic and barbecue areas for residents to enjoy. The village clubhouse has an adult and kiddie pool exclusively for the use of residents, basketball court, and a function hall. It provides for a safe and secure neighborhood for the young ones to play through a perimeter fence, underground utilities, and 24/7 security within the two-gated community. With increasing urban congestion, families long for lifestyle and dining hubs close to where they live and work without having to travel far. TierraBela is fully-integrated with a township that offers diverse options in shopping, dining, leisure and entertainment – perfect for mobile families who choose to relocate and work there. 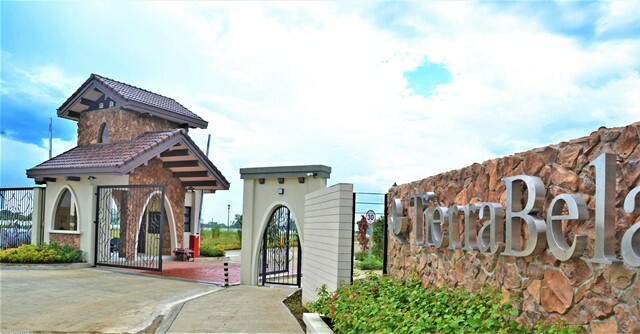 The village has its own Eton City exit along the South Luzon Expressway, which makes it easier to go in and out of the village. Eton City Square, a commercial strip which features over 11.5 hectares of a low-rise retail community mall with modern dining choices, retail outlets, and recreational spaces, will be launched this year. Its innovative format provides a relaxed environment for residents and visitors who want to enjoy modern-day conveniences in the comfort of the suburbs. With a business district in the pipeline, Eton City is envisioned to be an education hub and one of the South’s relevant business districts. Its close proximity to learning institutions as well as a variety of commercial centers in Sta. Rosa, the neighborhood cultivates a favorable environment for families and businesses to grow. Eton City township is near the University of Santo Tomas Sta. Rosa campus, as well as the future campus of University of the East. At its full development, Eton City shall feature a central business district; multi-residential enclaves from affordable to high-end; institutional centers such as schools and research firms; and commercial and retail establishments, integrated with recreational areas and parks.